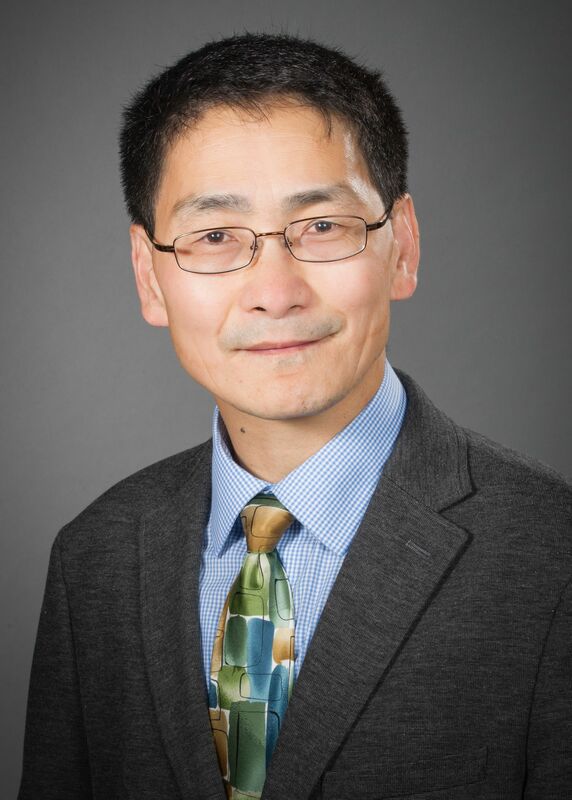 Dr. Wang is currently the chief of the Basic Science Research Program in the Department of Emergency Medicine at North Shore University Hospital. He also serves as a professor of molecular medicine at the Elmezzi Graduate School, and the director of the Laboratory of Emergency Medicine at the Feinstein Institutes for Medical Research. He earned a BS degree in biology from Hebei University in 1984, and then completed an MS degree in microbiology at Zhejiang University in 1987. In 1992, Dr. Wang received his PhD in microbiology from Louisiana State University, and subsequently finished a three-year postdoctoral fellowship in cell biology at the University of North Carolina-Chapel Hill. In 1995, Dr. Wang joined the Department of Emergency Medicine at North Shore University Hospital as the chief of the Basic Science Research Program. Since 2002, Dr. Wang has obtained several R01 grants from the National Institute of General Medical Science (R01GM063075 and R01GM070817) and the National Center of Complementary and Alternative Medicine (R01AT005076). He has procured several patents regarding the use of acute phase proteins (e.g., fetuin and serum amyloid A) and herbal components (such as tanshinone IIA) as a potential therapeutic targets and agents. Since 1995, Dr. Wang has published more than 150 research and review articles, which have been cited > 19,500 times by the Web of Science (h-index = 58) and > 29,500 times by Google Scholar (h-index = 68). Dr. Wang currently serves as a referee for 40 journals, and editorial board member for five scientific journals (including Shock, Inflammation & Allergy – Drug target, SOJ Immunology, and Military Medical Research). Since 2009, he serves as a Reviewer / Member of multiple NIH Special Emphasis Panels. Dr. Wang also plays an active role in international conferences by serving as a co-moderator and invited speaker at several international shock and sepsis conferences. He has not focused all of his energies solely on research, but has made significant contributions to academia and the advancement of knowledge to the future of biomedical research. Dr. Wang is currently mentoring postdoctoral fellows and high school students who have been named semifinalists in several international science competitions. Dr. Wang’s laboratory has been closely collaborating with physicians of the North Shore University Hospital Emergency Medicine Department for more than 22 years. This joint venture allows him to ask clinically relevant scientific questions regarding the cause of human diseases (such as sepsis), thereby bringing new knowledge into diagnostic and therapeutic solutions for Emergency Department patients. Severe sepsis is an overwhelming systemic inflammatory response to infection, claiming approximately 225,000 victims annually in the U.S. alone. Its high mortality is in part mediated by dysregulated inflammatory responses manifested by the excessive accumulation of various pro-inflammatory cytokines. To uncover the mechanisms underlying the pathogenesis of sepsis, Dr. Wang and his team have been attempting to identify novel therapeutic targets and/or agents for this disease since 1996. One outgrowth of this effort was the seminal discovery of a ubiquitous nucleosomal protein, HMGB1, as a critical late mediator of lethal endotoxemia (Science 1999, 285: 248-251). This groundbreaking finding laid down a foundation for further uncovering the intricate mechanisms of innate immune regulation, and stimulated an interest in developing novel therapeutic strategies for sepsis and other inflammatory diseases. Dr. Wang is investigating the molecular mechanisms of HMGB1 release by identifying potential endogenous negative (inhibiting) and positive (stimulating) regulators. This line of investigation led to the discovery of several innate immune cell-derived pro-inflammatory cytokines (e.g., IFN-gamma), liver-derived acute phase proteins (such as fetuin-A and serum amyloid A), and cytoplasmic membrane-associated hemichannel molecules (e.g., connexin 43) as important HMGB1 regulators. Moving forward, we are investigating the intricate mechanisms by which these endogenous proteins regulate HMGB1 release, and influence the pathological outcomes in animal models of endotoxemia and sepsis. Many Chinese herbs belong to the realm of complementary and alternative medicine, and have been traditionally used for treating various inflammatory diseases. To further elucidate mechanisms underlying the pathogenesis of sepsis, we have screened >50 commonly used medicinal herbs for potential HMGB1-inhibiting properties. Among them, the major components of several Chinese herbs including Danggui (Angelica sinensis), Danshen (Salvia miltiorrhiza), Green tea (Camellia sinensis) and Gancao (Radix glycyrrhizae) effectively attenuate HMGB1 release, and confer protection against lethal endotoxemia and sepsis. He is now uncovering the novel and distinct mechanisms by which various herbal ingredients block HMGB1 release at molecular and cellular levels. Moreover, He will also explore their therapeutic potential using various animal models of inflammatory diseases, with particular attempt to advance the efficacy from employing nanotechnology and other chemical strategies. In summary, the investigation of novel inflammatory mediators and their inhibitors will shed light on the mechanisms underlying regulation of the innate immune response, and provide clues to the development of novel therapeutics for human sepsis. Research: Investigating innate immune modulatory mechanisms of Chinese herbal medicine. Research: Investigating mechanisms underlying regulation of HMGB1 release or cytokine activities. Research: Investigating the role of dermcidin in sterile and infectious inflammation. Wang, H., M. Zhang, K. Soda, A. Sama, and K. J. Tracey. 1997. “Fetuin protects the fetus from TNF.” Lancet 350:861-862. Wang, H., M. Zhang, M. Bianchi, B. Sherry, A. Sama, and K. J. Tracey. 1998. “Fetuin (alpha2-HS-glycoprotein) opsonizes cationic macrophagedeactivating molecules.” Natl. Acad. Sci. U.S.A.95:14429-14434. Wang, H., O. Bloom, M. Zhang, J. M. Vishnubhakat, M. Ombrellino, J. Che, A. Frazier, H. Yang, S. Ivanova, L. Borovikova, K. R. Manogue, E. Faist, E. Abraham, J. Andersson, U. Andersson, P. E. Molina, N. N. Abumrad, A. Sama, and K. J. Tracey. 1999. “HMG-1 as a late mediator of endotoxin lethality in mice.” Science 285:248-251. Ombrellino, M., H. Wang, M. S. Ajemian, A. Talhouk, L. A. Scher, S. G. Friedman, and K. J. Tracey. 1999. “Increased serum concentrations of high-mobility-group protein 1 in haemorrhagic shock.” Lancet 354:1446-1447. Andersson, U., H. Wang, K. Palmblad, A. C. Aveberger, O. Bloom, H. Erlandsson-Harris, A. Janson, R. Kokkola, M. Zhang, H. Yang, and K. J. Tracey. 2000. “High mobility group 1 protein (HMG-1) stimulates proinflammatory cytokine synthesis in human monocytes.” J. Exp. Med.192:565-570. Borovikova, L. V., S. Ivanova, M. Zhang, H. Yang, G. I. Botchkina, L. R. Watkins, H. Wang, N. Abumrad, J. W. Eaton, and K. J. Tracey. 2000. “Vagus nerve stimulation attenuates the systemic inflammatory response to endotoxin.” Nature 405:458-462. 7. Wang, H., H. Yang, C. J. Czura, A. E. Sama, and K. J. Tracey. 2001. “HMGB1 as a late mediator of lethal systemic inflammation.” J. Respir. Crit Care Med. 164:1768-1773. Wang, H., M. Yu, M. Ochani, C. A. Amella, M. Tanovic, S. Susarla, J. H. Li, H. Wang, H. Yang, L. Ulloa, Y. Al Abed, C. J. Czura, and K. J. Tracey. 2003. “Nicotinic acetylcholine receptor alpha7 subunit is an essential regulator of inflammation.” Nature 421:384-388. Wang, H., H. Liao, M. Ochani, M. Justiniani, X. Lin, L. Yang, Y. Al Abed, H. Wang, C. Metz, E. J. Miller, K. J. Tracey, and L. Ulloa. 2004. “Cholinergic agonists inhibit HMGB1 release and improve survival in experimental sepsis.” Nature Medicine 10:1216-1221. Wang, H., C. J. Czura, and K. J. Tracey. 2004. “Lipid unites disparate syndromes of sepsis.” Nature Medicine 10:124-125 (Editorial). Qin, S., H. Wang, R. Yuan, H. Li, M. Ochani, K. Ochani, M. Rosas-Ballina, C. J. Czura, J. M. Huston, E. Miller, X. Lin, B. Sherry, A. Kumar, G. Larosa, W. Newman, K. J. Tracey, and H. Yang. 2006. “Role of HMGB1 in apoptosis-mediated sepsis lethality.” J. Exp. Med. 203:1637-1642. Ivanov, S., A. M. Dragoi, X. Wang, C. Dallacosta, J. Louten, G. Musco, G. Sitia, G. S. Yap, Y. Wan, C. A. Biron, M. E. Bianchi, H. Wang, and W. M. Chu. 2007. “A novel role for HMGB1 in TLR9-mediated inflammatory responses to CpG-DNA.” Blood. 110:1970-1981. 13. Lu, B., Nakamura, K. Inouye, J. Li, Y. Tang, P. Lundbäck, S. Valdes-Ferrer, P.S. Olofsson, T. Kalb, J. Roth, Y. Zou, H. Erlandsson-Harris, H. Yang, J. P-Y Ting, H. Wang, U. Andersson, D.J. Antoine, S.S. Chavan, G.S. Hotamisligil, & K.J. Tracey. 2012. “Novel role of PKR in inflammasome activation and HMGB1 release.” Nature 488(7413):670-674. Qiang, X., W-L. Yang, R. Wu, M. Zhou, A. Jacob, W. Dong, M. Kuncewitch, Y. Ji, H. Yang, H. Wang, J. Fujita, J. Nicastro, G.F. Coppa, K.J. Tracey, and P. Wang. 2013. “Release of cold-inducible RNA-binding protein triggers inflammatory responses in hemorrhagic shock and sepsis.” Nature Medicine 19(11): 1489-1495. Lu, B., D.J. Antoine , K. Kwan, P. Lundbäck, H. Wähämaa, H. Schierbeck, M. Robinson , M.A. Van Zoelen , H. Yang , J. Li, H. E. Harris, S. S. Chavan, H. Wang, U. Andersson, K. J. Tracey. 2014. “JAK/STAT1 signaling promotes HMGB1 hyperacetylation and nuclear translocation.” Proc. Natl. Acad. Sci. U.S.A. 111(8): 3068-3073. Kang, R., Q. Zhang, W. Hou, Z. Yan, Z., R. Chen, J. Bonaroti, P. Bansal, T.R. Billiar, A. Tsung, Q. Wang, D.L. Bartlett, D.C. Whitcomb, E.B. Chang, X. Zhu, H. Wang, B. Lu, K.J. Tracey, L. Cao, X-G. Fan, M.T. Lotze, M.T., H.J. Zeh III, D. Tang. 2014. “Intracellular HMGB1 inhibits inflammatory nucleosome release and limits acute pancreatitis in mice.” Gastroenterology 146: 1097-1107. Yang, L., M. Xie, M. Yang, Y. Yu, S. Zhu, W, Hou, R. Kang, M. Lotze, T.R. Billiar, H. Wang, L. Cao, and D. Tang. 2014. “PKM2 Regulates the Warburg Effect and Promotes HMGB1 Release in Sepsis.” Nature Communications 5:4436, doi: 10.1038/ncomms5436. Yang, H., H. Wang, Z. Ju, A.A. Ragab, P. Lundbäck, W. Long, J.P. Pribis, J. Li, B. Lu, D. Gero, C. Szabo, D.J. Antoine, D.T. Golenbock, J. Meng, J. Roth, S.S. Chavan, U. Andersson, T. Billiar, K.J. Tracey, and Y. Al-Abed. 2015. “MD-2 is required for disulfide HMGB1-dependent TLR4 signaling.” J. Exp. Med. 212(1): 5-14. Xie, M., Y. Yu, R. Kang, S. Zhu, L. Yang, L. Zeng, M. Yang, T.R. Billiar, H. Wang, L. Cao, J. Jiang, and D. Tang. 2016. “PKM2-dependent glycolysis promotes NLRP3 and AIM2 inflammasome activation.” Nature Communications 7, 13280 ; doi: 10.1038/ncomms13280. Kang, R., L. Zeng, Y. Xie, Z. Yan, B. Zhou, L. Cao, D. Klionsky, K.J. Tracey, J. Li, H. Wang, T.R. Billiar, J. Jiang, and D. Tang. 2016. “A novel PINK1- and PARK2-depdendent protective neuroimmune pathway in lethal sepsis.” Autophagy 12(12): 2374-2385. Cui, M., H. Xiao, Y. Li, X. Chu, L. Zhou, S. Zhao, D. Luo, X. Xue, Q. Zheng, J. Dong, Y. Zhao, X. Zhang, J. Zhang, L. Lu, H. Wang, and S. Fan. 2017. “Faecal microbiota transplantation protects against radiation-induced toxicity.” EMBO Mol Med 9(4):448-461 doi: 10.15252/emmm.201606932. Kang, R., Y. Xie, Q. Zhang, W. Hou, Q. Jiang, S. Zhu, J. Liu, D. Zeng, H. Wang, D.L. Bartlett, T.R. Billiar, H.J. Zeh, M.T. Lotze, and D. Tang. 2017. “Intracellular HMGB1 as a novel tumor suppressor of pancreatic cancer.” Cell Research 27(7):916-932. Yang, H., H. Wang, Y. Wang, M. Addorsisio, J. Li, M.J. Postiglione, S. S. Chavan, Y. Al-Abed, D.J. Antoine, U. Andersson, and K.J. Tracey. 2017. “The haptoglobin beta subunit sequesters HMGB1 toxicity in sterile and infectious inflammation.” J. Internal Med. 282(1): 76-93. Zeng, L., R. Kang, S. Zhu, X. Wang, L. Cao, H. Wang, T.R. Billiar, J. Jiang, and D. Tang. 2017. “ALK is a therapeutic target for lethal sepsis.” Science -Translational Medicine 9, eaan5689, DOI: 10.1126/scitranslmed.aan5689.